The story of “Slip Away,” the debut feature film by Saarens Productions, concerns the troubled reunion of a son and his father after fifteen years of estrangement. The son, Jason, played by screenwriter and producer DeeJay Arens, was thrown out of his family home by his father when he revealed to his mother on her deathbed that he was gay. Jason chose not to communicate with his father and his two sisters after his exile from home until an invitation from his father’s second wife sets the stage for an emotional and heartbreaking homecoming. 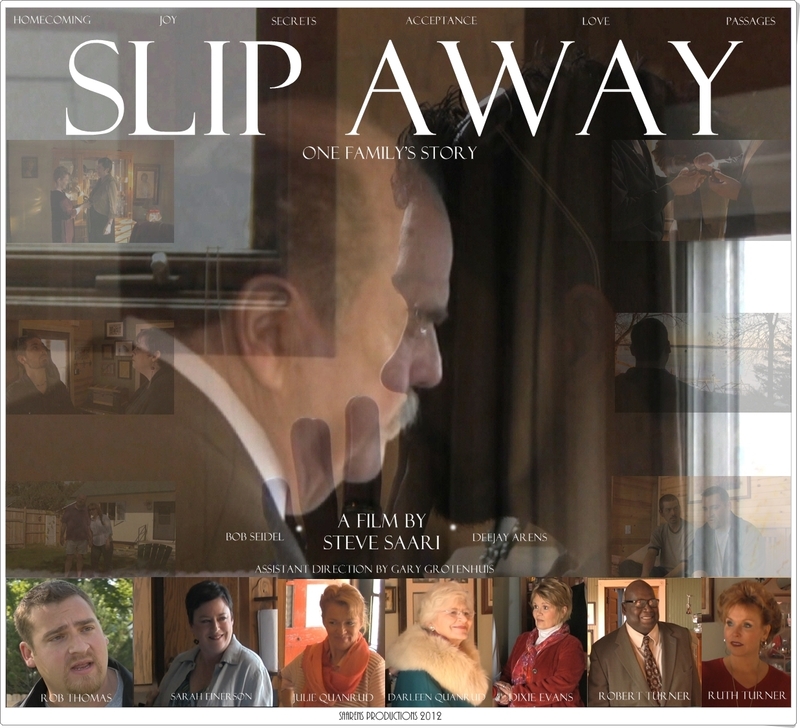 “Slip Away” is now playing on Gay Life Television: http://www.gaylifetelevision.com/live-broadcast/ and through their partners: Justin.Tv, MondoClub.com, Vimeo, Ustream, YouTube, Roku, and Samsung.